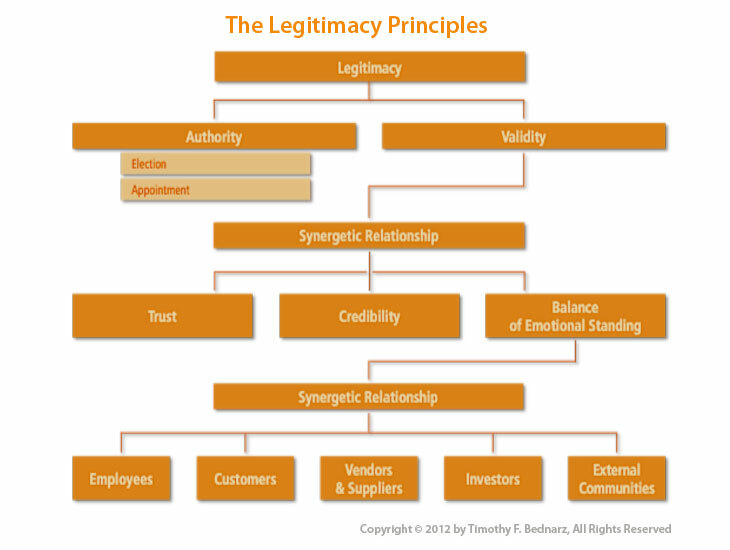 The Legitimacy Principles enumerate the linkages of leaders’ legitimacy, credibility, trust and a balance of emotional standing and bonds with all key constituencies. The synergetic relationship between these key factors of success is the foundation of effective leadership and provides insight into a new definition of it. The great leaders possess this critical leadership trait. However, legitimacy is seldom discussed, if even mentioned in most leadership books. The absence of a definitive definition leads to confusion as to what defines legitimacy. Its definition needs to be clarified and placed within a proper context. It is assumed that leaders automatically possess legitimacy. My research demonstrates that this is a fallacy. It shows that legitimacy is derived from two separate sources that grant leaders permission to lead. The second source is validity. Validity is not conferred, nor is it automatically achieved once one is appointed. It is earned and is a contributing factor to the authority granted to a leader, typically over the span of his or her career. This defines a leader as genuine and authentic in the eyes of all key constituencies. Both sources of legitimacy compliment each other, but validity provides an enduring, yet fragile acquiescence of all the constituencies that gives a leader the tacit permission to lead. It is built upon three critical factors: trust, credibility and emotional balance. My research demonstrates that these are the hallmarks of great leaders. Without the presence of these three critical factors, the leader’s validity collapses. Once a leader loses his or her validity, the authority to lead is significantly undermined. The research conducted for Great! What Makes Leaders Great revealed that great leaders created emotional balance. This is the development of emotional bonds and standing individual key constituencies. It is important because it reflects leaders’ attention and performance with each group. It is an outcome of leaders’ actions and performance, and mirrors the overall health and sustainability of the organization. An imbalance pinpoints potential problems and issues that can damage an organization in the future. While emotional bonds are a reflection of a leader’s effectiveness, they also are the underpinnings of credibility, trust, validity and legitimacy. This is a cyclical relationship since these characteristics must be firmly established before emotional bonds and standing can be formed. Yet, a leader’s emotional standing with key constituencies is essential to foster credibility, trust, validity and legitimacy. A positive outcome of this relationship is that strong emotional bonds ultimately pay big dividends in the form of loyalty. This is an additional factor, which strengthens a leader’s validity and legitimacy. Research showed that during periods of difficulty, this often meant the difference between success and failure. 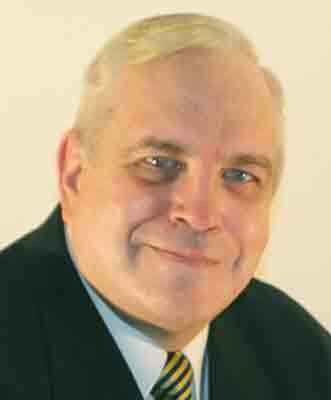 A notable example is Fred Smith when FedEx experienced a monumental problem because of a UPS strike. Consequently, FedEx was swamped with 800,000 extra packages a day. His strong emotional standing, which had instilled a robust sense of company loyalty, bore fruit during this crisis. Thousands of employees voluntarily poured into the hubs a little before midnight to sort the mountain of extra packages. Many had already worked previous shifts and stayed over to help the company overcome the crisis. As a result, FedEx achieved a 2% gain in market share and saw its share price rise by 70% over the subsequent twelve months. The emphasis of shareholder value over the past decades often created imbalance. An analysis of the financial performance of companies with this focus typically underperformed those companies where the leadership fostered key relationships. 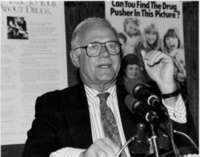 A prime example of emotional balance was demonstrated in 1982, when James Burke, CEO of Johnson & Johnson was confronted with the news of seven poison-related deaths, caused by Tylenol capsules that were laced with cyanide. He looked the facts in the face and immediately understood the gravity of the situation. Against the vehement opposition from his management team, he decided to go directly to the public. Backed with a $ 50 million product recall, he communicated a strong sense of concern, openness and accountability as he frequently appeared on the major and influential television talk shows of the time. This contributed to the restoration of public trust and saved the Tylenol brand. Burke was strong, bold and decisive and this built a solid base of trust and confidence. He placed his legitimacy, personal stature and reputation on the line. His proactive communications brought his message to the public, and by doing so, controlled the crisis, accompanying expectations and ultimately protected his company’s image and reputation. A synergetic relationship and a balance between these emotional bonds were observed during the research. Each supports and reinforces the other. If one area fails, it contributes to the failure of the others. For example, leaders like Al Dunlap (Sunbeam) made profit-enhancing decisions that deeply impacted employees, reduced product quality and squeezed vendors and suppliers. In many instances, these destroyed the emotional bonds with each key constituency, while refocusing on their emotional standing solely with the board and stockholders. While in the short-term these leaders were hailed as triumphant heroes and celebrated by investors, in the long-term they undermined the cohesiveness of legitimacy, validity and critical emotional bonds. Ultimately, performance suffered and they lost their emotional standing with the stockholders. Once this occurred, they were removed from their positions, if they didn’t have the foresight to prematurely depart, while leaving a mess for someone else to clean up. Analysis validates that emotional connections tend to begin early and continue throughout the leader’s career as they develop a personal standing with each group of key constituencies. Early emotional connections are able to develop into stronger bonds of trust. This gives leaders the legitimacy, credibility and trust, which lead to future growth, either in their businesses or in their advancement to more prominent positions. Many revere the prominence of the great leaders, like Ford, Rockefeller, Morgan, Gates and Buffet, due to their individual reputations and achievements. The research reveals that great leaders are also fallible. They make mistakes and often are subject to criticism, some valid, and some triggered by an opponent’s agenda. But the analysis of the great leaders demonstrates that if and when they choose to persevere and persist in their efforts, they will ultimately succeed. This is a consequence of the emotional support and emotional standing they took the time to nurture and foster throughout their careers. The question is, can leaders be effective without these emotional connections? Analysis illustrates that there are leaders who didn’t make all of the necessary emotional connections. Their effectiveness became diminished by the lack of support on multiple levels. For instance, profit-centric leaders like Dennis Kozlowski (Tyco International) may have developed strong emotional connections with the stockholders, especially since they delivered the short-term profits being sought after. But, at what price? Many of these types of leaders do so at the expense of their customers and employees. They reduce quality and dramatically downsize their workforce, only focusing on the bottom line. In the short-term they will likely be successful, but their actions undermine the legitimacy, trust and credibility required to build and manage an enduring, successful corporation. Ultimately, this results in long-term problems due to the loss of the company’s customer base, along with their most productive employees, both who will vote on this leader’s performance with their feet. These actions place companies in financial jeopardy. Analysis validates that emotional connections with key constituencies tend to begin early and continue throughout the leader’s career as they develop a personal standing with each group. Early emotional connections are able to develop into stronger bonds of trust. This gives leaders the legitimacy, credibility and trust, which lead to future growth, either in their businesses or in their advancement to more prominent positions. My research revealed that great leaders created emotional balance. This is the development of emotional bonds and standing individual key constituencies. It is important because it reflects leaders’ attention and performance with each group. It is an outcome of leaders’ actions and performance, and mirrors the overall health and sustainability of the organization. An imbalance pinpoints potential problems and issues that can damage an organization in the future. While emotional bonds are a reflection of a leader’s effectiveness, they also are the underpinnings of credibility, trust, validity and legitimacy. This is a cyclical relationship since these characteristics must be firmly established before emotional bonds and standing can be formed. Yet, a leader’s emotional standing with key constituencies is essential to foster credibility, trust, validity and legitimacy. A positive outcome of this relationship is that strong emotional bonds ultimately pay big dividends in the form of loyalty. This is an additional factor, which strengthens a leader’s validity and legitimacy. Research showed that during periods of difficulty, this often meant the difference between success and failure. 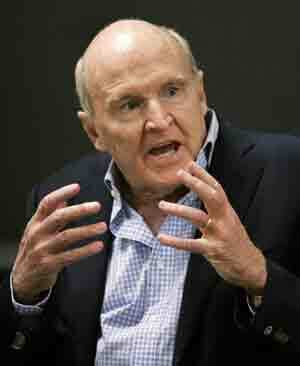 A notable example is Fred Smith when FedEx experienced a monumental problem because of a UPS strike. Consequently, FedEx was swamped with 800,000 extra packages a day. His strong emotional standing, which had instilled a robust sense of company loyalty, bore fruit during this crisis. Thousands of employees voluntarily poured into the hubs a little before midnight to sort the mountain of extra packages. Many had already worked previous shifts and stayed over to help the company overcome the crisis. As a result, FedEx achieved a 2% gain in market share and saw its share price rise by 70% over the subsequent twelve months. A prime example of emotional balance was demonstrated in 1982, when James Burke, CEO of Johnson & Johnson was confronted with the news of seven poison-related deaths, caused by Tylenol capsules that were laced with cyanide. He looked the facts in the face and immediately understood the gravity of the situation. Against the vehement opposition from his management team, he decided to go directly to the public. Backed with a $ 50 million product recall, he communicated a strong sense of concern, openness and accountability as he frequently appeared on the major and influential television talk shows of the time. This contributed to the restoration of public trust and saved the Tylenol brand. Burke was strong, bold and decisive and this built a solid base of trust and confidence. He placed his legitimacy, personal stature and reputation on the line. His proactive communications brought his message to the public, and by doing so, controlled the crisis, accompanying expectations and ultimately protected his company’s image and reputation. A synergetic relationship and a balance between these emotional bonds were observed during the research. Each supports and reinforces the other. If one area fails, it contributes to the failure of the others. For example, leaders like Al Dunlap (Sunbeam) made profit-enhancing decisions that deeply impacted employees, reduced product quality and squeezed vendors and suppliers. In many instances, these destroyed the emotional bonds with each key constituency, while refocusing on their emotional standing solely with the board and stockholders. While in the short-term these leaders were hailed as triumphant heroes and celebrated by investors, in the long-term they undermined the cohesiveness of legitimacy, validity and critical emotional bonds. Ultimately, performance suffered and they lost their emotional standing with the stockholders. Once this occurred, they were removed from their positions, if they didn’t have the foresight to prematurely depart, while leaving a mess for someone else to clean up. If you would like to learn more about the great American leaders built emotional bonds and standing with their key constituencies, through their own inspiring words and stories, refer to Great! What Makes Leaders Great: What They Did, How They Did It and What You Can Learn From It. It illustrates how great leaders built great companies, and how you can apply the strategies, concepts and techniques that they pioneered to improve your own leadership skills. Click here to learn more.